Lots of people think that they can’t afford buying a green car but they’re wrong; Even India, which is one of the few cheap car manufacturers in the world, has allocated a budget of 4 billion dollars for a green car project in their push for hybrids and electric cars so even India has chosen clean environment over care of cars and you can buy a good and cheap electric car in the near future but what are we going to do with the lack of engine sound in a green car? So, we know that green cars tend to eliminate that engine sound which some of us love, especially engine sounds from muscle cars 🙂 .. i know, it may be disappointing for those petrolheads out there who enjoy showing off and making noise with their awesome engines but there is one simple solution, solution which can resolve the problem with lack of engine sound in electric cars. Scientists work on a special device which will make any of those quiet electric cars to roar because the lack of engine sound in green cars, especially electric cars, is also a problem when it comes to safety purposes (silent killer). You’re at a crosswalk, in a city which is filled with electric cars. You’re in a hurry and you start crossing the road without looking both ways and relying on your hearing because you’ve been used to hearing car engine noises when going outside. The probability of getting hit by an electric car is higher when you’re depending on that engine sound which doesn’t show up and that’s kind of a silent killer. So how should those inherently quiet electric cars sound like ? If they fit speakers under the bonnets of electric cars to emit sounds i only hope that you can choose your own special V8 sound 🙂 but still, these speakers are more for safety purposes. Some small electric cars from a new company are driven around in a university campus with a small sample of made-up sounds. 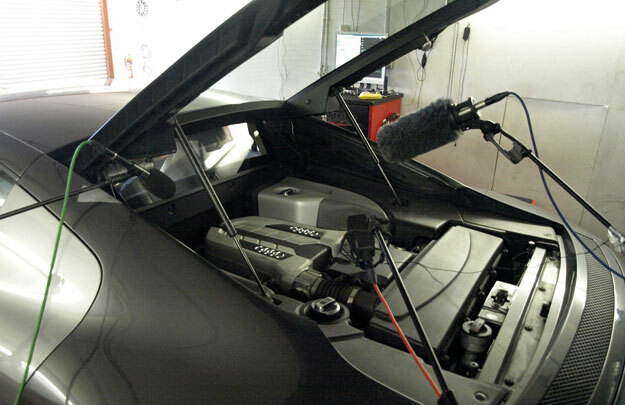 To see the car care involved in this engine sound project for electric cars in order to remove the silent killer, you need to dig deep and read a lot. Some say that sound should be associated with transport and on how people interpret car sounds based on their experiences. I think that there’s a problem with Ferrari, Lamborghini, Porsche and other expensive sport cars because if they’ll make electric cars, then, they will want to keep their current engine sounds. A gaming company tries to create engine sounds that will match different green car categories whether it’s a sports car or a luxury one. One known auto manufacturer has developed “e-sound”, a realtime technique of generating synthetic engine sounds for the essentially silent electric cars, in order to warn pedestrians and cyclists when it’s close, thus avoiding to be a silent killer. Yes, it will be frustrating for you to drive electric cars with fake engine sounds and even if fuel consumption will disappear with those green cars, imagine a Top Gear lap on the Top Gear series with electric cars; You’ll be so disappointed if engine sounds would be synthetic. Sad, but we need to have a clean environment and accept these measures for reducing pollution, because this isn’t about car care anymore! In the next 8-10 years the problem with being in the money to get an electric car will be solved as well as the lacking engine sound from electric cars but still, it’s nice to know that you have a green car which is powered by the same thing which powers headlights or other electrical devices inside your car: ELECTRICITY! I can see how this can be true. The lack of engine sound in electric cars can be quite harmful, imagine your grandmother trying to cross the road.. if she’s not careful and if the driver is not alert, then you have a car accident very fast!